Visual artist born in Colombia, currently living in U.S.A.
As part of Small Business Saturday in Greensburg, I’ll be opening my studio from 11 a.m. – 3 p.m. The studio is on the second floor of the Union Trust Building, across the street from the Court House, 102 N. Main Street, Suite 222, Greensburg, PA 15601. Be sure to check out the events and businesses around town, including Family Day at The Westmoreland Museum of American Art. and stop by The Palace to enjoy STOMP. When: Saturday, November 24, 11 a.m. – 3 p.m. Remember when I was super excited to announce that my work #democracyispower was one of the artworks selected by the curatorial team of Power to the Polls –among those actress America Ferrera and artist Shepard Fairey ?? Tomorrow Saturday, April 14, I’ll be opening my studio from 11 a.m. – 5 p.m. as part of Greensburg ArtsWalk. I will have my latest works on display, some of which have never been exhibited in public before. The studio is on the second floor of the Union Trust Building, across the street from the Court House, 102 N. Main Street, Suite 222, Greensburg, PA 15601. Be sure to check out the other events around town, including free admission to The Westmoreland Museum of American Art. When: Saturday, April 14, 11 a.m. – 5 p.m. Delighted to be in Contemplating Others, at the FrameHouse & Jask Gallery in Lawrenceville, along with Sarika Goulatia, Crystal Latimer, Penny Mateer and Samira Shaheen. Curated by Sean Beauford. This is the first of four shows the Associated Artists of Pittsburgh has scheduled for Spring 2017. It closes April 29, check it out if you are in Lawrenceville! Happy International Women’s Day. Especially to those who have the courage to fight for what they believe in! Felicidades en el Día Internacional de la Mujer. Especialmente a las mujeres que tienen la tenacidad de luchar por sus ideales! 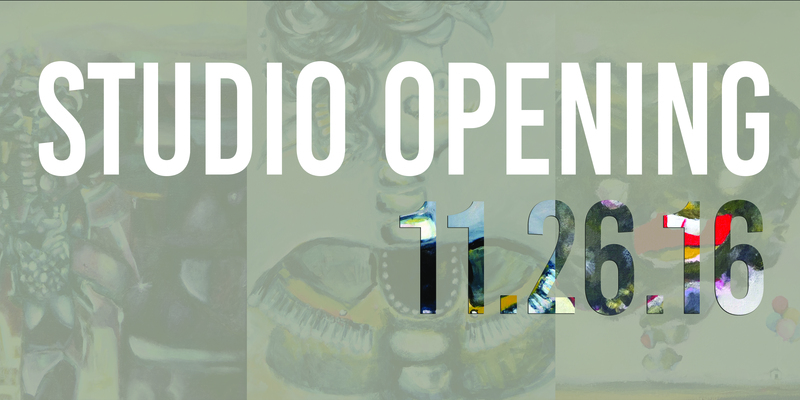 After months of preparation, I will be opening my studio to the public for the first time tomorrow. Everyone is invited to see my latest works. I will be doing some painting throughout the day as well. My studio will be open from noon to 5 p.m. so stop by whenever is most convenient for you. Light refreshments will be provided. Hope to see you there! To see more art, be sure to check out The Westmoreland Museum of American Art tomorrow for free. Also, don’t forget tomorrow is Small Business Saturday, and many businesses in downtown Greensburg will be having a special sales and events. When: Saturday, November 26, 12 p.m. – 5 p.m.